1. Maria Ramos announced yesterday that she would retire at the end of February as Absa CEO. The bank is expected to appoint an outsider in the top job. Ramos herself could be appointed to government – perhaps even as head of SARS. 2. The price of petrol is likely to go up by around 8c a litre in the first week of February, while diesel may drop by 3c, according toAutomobile Association calculations. 3. Former Bosasa exec Angelo Agrizzi’s last day on the stand at the state capture commission was overshadowed by a video which shows him launching a racist tirade. Agrizzi was followed by former Bosasa financial head Andries van Tonder, who testified that he was still fearful of Bosasa CEO Gavin Watson. Meanwhile, the chair of the commission, deputy chief justice Raymond Zondo, has dismissed an application by the Gupta family to cross-examine former finance minister Trevor Manuel. Manuel will also testify at the commission. 4. Bloomberg reports that South African farmers have probably planted the smallest area of maize since the worst drought on record three years ago. Some 2.27 million hectares of maize have been planted, 2.1% less than in 2018. 5. Eskom’s fate will be debated at a cabinet meeting starting today. Public Enterprises Minister Pravin Gordhan said that ministers will decide whether the debt-ridden company should be split up, according to a Reuters report. The latest TransUnion Africa Vehicle Price Index report, which tracks vehicle finance deals in South Africa, has been released. It shows that used vehicle prices rose by only 1.6% in 2018 – the lowest since 2015. New car prices increased by 2.5%. 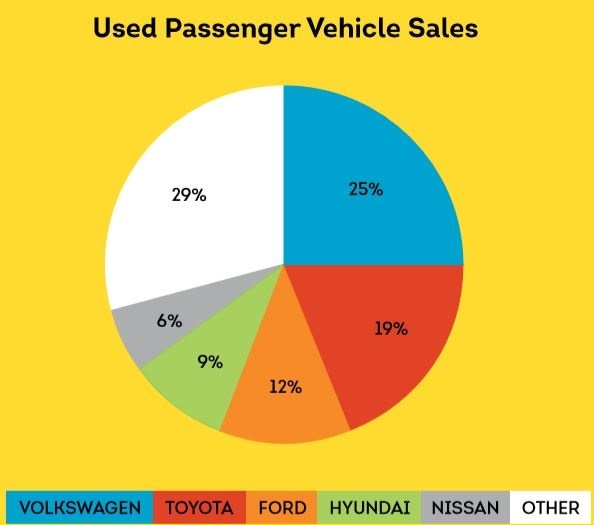 “This is indicative of the shift from used to new as the supply of quality used vehicles are diminishing,” says TransUnion. Price increases were below inflation, which was 4.5% in December 2018. Some 2.03 used cars were financed for every new car – this is lower than 2.22 at the end of 2017. 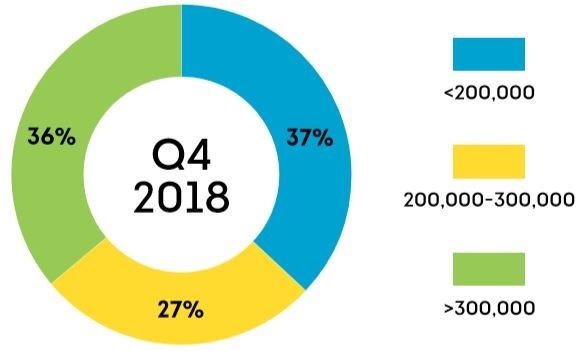 The number of vehicle finance deals show a marked decline: down 7% in 2018, while used passenger deals slumped 15%. The percentage of new and used vehicles being financed below R200,000 stood at 37%. There has been a 5% increase in vehicles financed over R300,000. 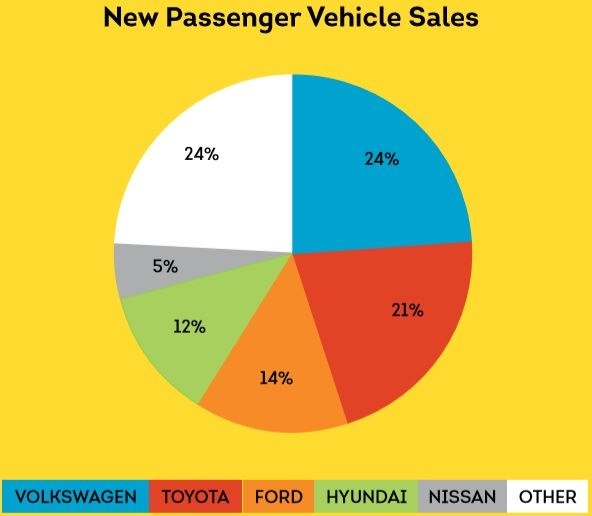 Toyota and Volkswagen captured more than 40% of the new and used passenger financed volumes. Main image credit: Business Insider.